Taylor Smith Boatyard offers professional expertise from the very inception of the design to the delivery of the finished yacht. With a fully-equipped yard, professional lifting services, secured parking areas, we offer a wide range of services from boat management, maintenance, refit and repairs. Discover our latest boat launches, new builds and images of our catamarans range. Pioneers in the use of alternative green energies in the sailing world. Welcome to your one-stop shop boating facility. With more than a century of experience in the marine and boating environment, Taylor Smith is the regional pole of reference in the Indian Ocean. Ideally located in Port-Louis, the Taylor Smith Boatyard is an important boat building and repair yard in Mauritius. Over the years, the Taylor Smith Boatyard has built a professional and reliable reputation in the Indian Ocean region with a wide range of services which encompass repairs, maintenance and restoration. With its fully-equipped facilities, it is capable of handling boats up to 200 tons and has parking spaces for approximately 50 boats at any time. The Taylor Smith Group also operates similar facilities in the Seychelles (http://gondwanamarine.com/). 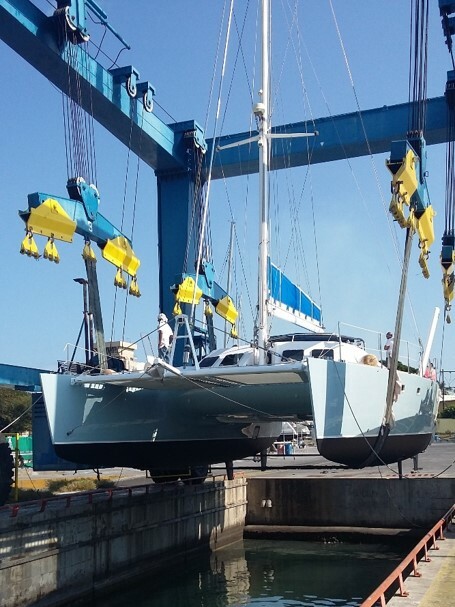 Designed in 1999 by Marc Van Petteghem and Vincent Lauriot Provost (VPLP), Peekaboo came from Reunion Island to our yards in May 2015 for diverse repairs and a complete refurbishment. The level of care, hospitality, and professionalism we encountered was second to none.